ConAgra is expanding its voluntary recall of P.F. Chang’s Home Menu brand products due to the potential presence of small metal fragments in the sugar used in their sauces.According to a UPI news report, the company is recalling about 195,597 pounds of frozen chicken and beef produced between May 31 and June 22. P.F. Chang’s restaurants or other ConAgra Foods products are not affected by this recall. The initial recall was issued on July 7 after a ConAgra employee saw metal fragments in the products between 2 and 9 millimeters in size while dispensing sugar from a supplier. No injuries have been reported as a result of these contaminated products. Those who have purchased these products are advised to return them to the store where they originally bought it. For more information, call ConAgra’s Consumer Affairs hotline at 1-800-252-0634. In 2012, we saw a massive recall of 2.8 million boxes of Kellogg Mini-Wheats due to the presence of fragments of flexible metal mesh. Since then, there have been at least half a dozen food recalls involving metal fragment contamination. It is hard to tell how often this particular problem occurs. But while food recalls involving food-borne illnesses such as E. coli and salmonella get more attention, recalls due to the contamination of foreign objects don’t get as much attention. It is not surprising these fragments end up in our food products given our industrialized food system. When a piece of machinery breaks off in a food manufacturing plant, it can be dangerous. Some companies are taking steps to fix the problem including using ultrasound and magnetic resonance technology to detect potential contamination. Some production lines have also been reconfigured to minimize the number of moving metal-on-metal parts. If you or a loved one has been injured due to the negligence of a food manufacturer, it is important to understand that you have legal rights. Victims of food poisoning or defective products can seek compensation for damages including medical expenses, lost wages, hospitalization, pain and suffering and emotional distress. 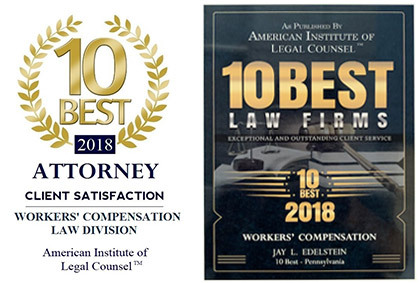 Victims or their families would be well advised to contact an experienced personal injury lawyer at Edelstein Law who will help hold the at-fault parties accountable.